Showing results for tags 'source music'. Official Notice on legal action Translation: Hello, this is Source Music. As a representative of our artist, GFRIEND, (Sowon, Yerin, Eunha, Yuju, SinB, Umji), in regards to defamation, sexual harrassment, slander circulating around the SNS and web, we will reveal our position in regards to malicious comments and defamation posts. We have been steadily monitoring and collecting on some of the netizens' habitual malicious posts and comments that have malicious intent to GFRIEND members regardless of the authenticity in portal sites and Internet communities. We will then proceed to file a criminal complaint through a law firm and legal representative. This legal response is to protect the personality of GFRIEND members and to show better activity. It emphasizes that it is a measure against malicious netizens who have repeatedly criticized and harassed the group. In addition, we will continue to take all possible legal measures without any consensus on future defamation and damage cases, meaning we will take tough and unfavorable responses to the authors and distributors to protect the basic interests of artists. Fans with information on malicious posts about GFRIEND are asked to do the following. Please ask other fans to cooperate to make the process faster and accurate. 1.) The email address to report malicious comments: sourcemusic.singo@gmail.com (copy and paste the address) 2.) In addition, please provide the following in order to prove the crime and confirm the perpetrator: Caputre the entire screen so that every information is available. Please capture the internet address (URL). If the content is long and not visible at once, please distinguish it so that it can be recognized as continuous. To know where the site contains the malicious posts, please also provide the Internet address (URL). The name or ID of the perpetrator, IP address, publication date, posting time. Please provide as much information as possible about the perpetrators and malicious posts, including platforms. Please provide the capture date. (In KST. It is convenient to use the UTCK program.) (Pssst, just google the time!) In the future, Source Music will do our best to protect the rights of artists. Thank you. eunaochi posted a topic in Let's Talk GFRIEND! Hi, I was wondering, if anybody knows the procedure in sending gifts to the girls, at random and also for birthdays? Also, does anybody knows the girls clothe size (men and women) and possibly shoe sizes? help is very much appreciated! thanks!! snowbabypjm posted a topic in Let's Talk GFRIEND! Do you think SoMu knows what he is doing? Moonlight Chingu posted a topic in Let's Talk GFRIEND! #YeoJaChinGu #GFRIEND #BUDDY #Buddies #Today #20170116 #GFRIENDDebut2ndAnniversary #2YearsWithGFRIEND #ISAC #ExerciseFRIEND #AthleticFRIEND Thank you for being with us together for the entire day! 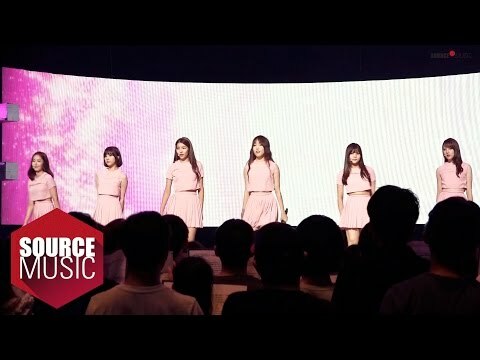 Sincere congratulations to GFRIEND's 2nd birthday! Do you even wonder what if...? Source Music had extended Me Gustas Tu promotions, would the girls have had their first win with it. MGT was rising and peaking on melon and other charts with the fancam and what if source music had done just like Exid did, they could have won with it. It saddens me that MGT never had a win or win any award. Enjoy much! Visit my youtube channel and click LIKE button if it satisfied you!